Last week, ISIS leader Abu Bakr al-Baghdadi released a new speech, “Give Glad Tidings to the Patient,” through the group’s official media outlet, the al-Furqan Foundation. In 2018, ISIS will likely adjust its focus internally while targeting regional enemies, relying on sympathizers to remain loyal to the group, and encouraging members who left the group to return. On August 18, ISIS claimed responsibility for two vehicle-ramming attacks that occurred last week in Barcelona and Cambrils, Spain, that killed 15 and injured over 100. These incidents are the seventh and eighth such attacks in Europe in 2017 and highlight the threat posed to public assembly areas. A Point Pleasant (Ocean County) man faces federal terrorism charges after a family member notified law enforcement of his erratic behavior—underscoring the role friends, relatives, and close associates play in countering violence. According to authorities, Gregory Lepsky plotted to build a pressure-cooker bomb and detonate it in New York City to “kill as many people as possible” in support of ISIS. On May 25, ISIS released a video calling on supporters to conduct assaults and justifying the killing of innocents during Ramadan, the most sacred month in Islam, which runs from May 27 to June 24. Historically, ISIS and its predecessor groups have called for an offensive campaign during this month. On April 20, ISIS claimed responsibility for a shooting against law enforcement officers in Paris, killing one and injuring two, declaring the perpetrator a “fighter of the Islamic State.” This is the second ISIS strike this year against police officers in Europe. 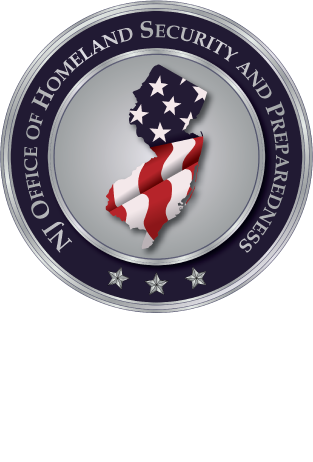 At this time, there are no known or credible threats to New Jersey. On April 9, ISIS claimed responsibility for suicide bombings at Coptic Christian churches in two Egyptian cities, killing roughly 45 and injuring 106, during Palm Sunday services. At this time, there are no known or credible threats to the Coptic Christian community in New Jersey, which has one of the largest concentrations of Coptic Christians in the United States. The content of the Islamic State of Iraq and Syria’s (ISIS) latest edition of its online English-language magazine Rumiyah—released on February 4—suggests the group continues to use propaganda to compensate for a spate of territorial and leadership losses since early 2015. Rumiyah 6 centers around three themes—targeting Turkey, local and regional “successes,” and the importance of martyrdom operations to strengthen global followers’ morale. The attack on Monday at Ohio State University highlights the enduring influence of radical cleric Anwar al-Aulaqi, who was killed in a US airstrike in Yemen in 2011. Abdul Artan, who shortly before the Ohio State attack posted a statement on Facebook praising Aulaqi as “our hero,” drove his vehicle through a crowd and struck fellow students with a knife, injuring 11. Artan’s motives are still under investigation., and in the same Facebook post, he made references to ISIS and lone-wolf attacks. Since 2015, foreign terrorist organizations, including al-Qa’ida affiliates and the Islamic State of Iraq and Syria (ISIS), have directed and inspired attacks against the hotel industry in Africa, with the goal of depleting emergency responder resources and maximizing casualties. Hotels are often open to the public and host tourists, government officials, and entrepreneurs, as well as provide a conducive environment for meetings, conferences, and other special events.